we created a boutique to offer clients the resources needed for their career and inspiration. Want a professional resume package but want to update it yourself? No problem! We have resources to help! Feeling less than motivated? We have products to help get you going again! Free is always good. Yes, we have that too! We have several free resources to help you get going! Does your resume template look hot and modern, but doesn't provide enough room to include information that companies are looking for and prefer? We offer over 20 ready to go resume and cover letter design templates at our NetKi Enterprises Boutique! In this package, you will receive a resume and cover letter design template with built in guides on what to include and a bonus: our Cover Letter Writing Tips! We also add new designs monthly! Get Discounts on our Design ​Templates of the Month! Want to really impress? shop our business and resume networking cards ​to complete your package! Our business and resume networking cards offer a variety of cards to match your style. Many of our resume and cover letter designs have matching networking cards! Find the perfect card for you at our NetKi_Enterprises store at zazzle.com! CHECK OUT THE SITE FOR POTENTIAL SAVINGS! ​write your own resume like the professionals with our ONLINE RESUME WRITING or cover letter COURSE! Need inspiration? ​Try our inspiration gear for a refresh! ​No Fear. Bow Down. Pray. Recent events have caused many to be concerned and wonder if there is any hope in humanity today. However, we know that despite the disasters; hurricanes, terrorism, controversial president, racism and strife, that God is still in control. Therefore, we will not fear. We will humble ourselves, bow down and pray to our Father God that he gives us strength and mercy to hope and operate without fear for we know that God doesn't give a spirit of fear, but of power, love and a sound mind. (Emoji by Emoji One). Click on the images below to purchase the item and to go to our No Fear Movement Collection page at our NetKi_Enterprises store at zazzle.com. Hoodie: Emoji No Fear. Bow Down. Pray. 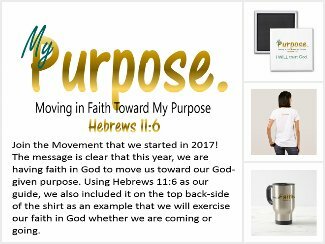 This message makes a statement that this year, you are having faith in God to move you toward your god-given purpose. Below is the verse, Hebrews 11:6. Hebrews 11:6 is also on the back side of the shirt as an example either coming or going, I will have faith in God. The year is now closing. Was it memorable? What accomplishments have you made that you'd love to have a reminder? Was it a rough year, yet you stay determined to believe in God so you want something to remind you to stay faithful? We have it for you here. Grab it before it's gone! Click on the image to go to our Moving In Faith Collection at our NetKi_Enterprises store at zazzle.com. WANT TO TAKE A BREAK WITH RIVETING FICTION? Free is good! Download many of our free resources at our boutique above or at sellfy.com. We offer many resources including resume writing, LinkedIn, building a career strategy to how to avoid being overwhelmed when starting your own business! Click on the image to download free career resources! You will be directed to our page at sellfy.com or check out our boutique above. Have a question, comment or sign up for our newsletter? We want to hear from you!